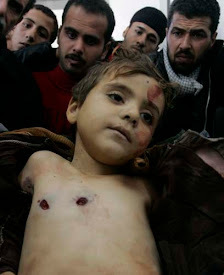 “We are the children of Gaza. We love life. We await these boats that will break the siege,” says a young boy on the beach in Gaza. Early reports that the first flotilla vessel had been captured “without exceptional incident” are now being challenged by an Israeli passenger, who says the group were kidnapped while in international waters, all but 2 passengers are being detained, and there is reason to fear for their safety. He also expresses the need to finally hold Israel accountable for its actions, as well as to allow journalists to report the facts. Two of our participants who are Israeli citizens have been charged with attempting to enter Gaza and conspiracy to commit a crime, and were released on bail this morning. One of them, boat leader Zohar Chamberlain Regev, reports seeing blood on the deck of the Al Awda as the last participants were being dragged off the ship. In comparison with the violence routinely directed at Palestinian civilians, including at fishers from Gaza, and the violent capture of Palestinian fishing boats, yesterday’s seizure and kidnapping may not be the most serious of Israeli crimes. What these violent acts have in common is that there is no accountability demanded by other governments and Israel continues to enjoy total impunity.